Weathered Oak Large 2 Door Cabinet with 2 louvred doors, a solid natural oak tall 2 door cabinet with weathered finish. 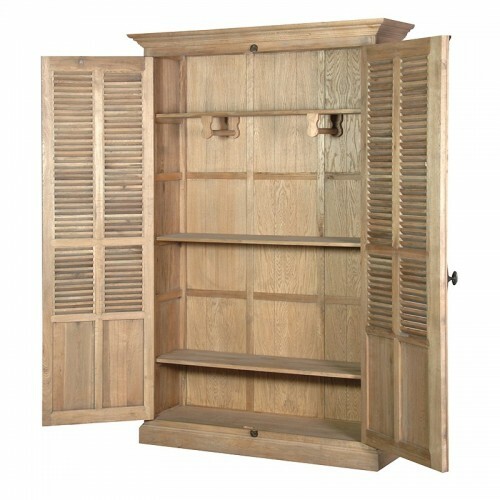 Ideal for hanging robe with shelf space, this large weathered oak cupboard has 1 top shelf with 2 hanging rails under which run back to front, below that there is an extra 2 adjustable shelves with further room at the bottom for shoe storage. 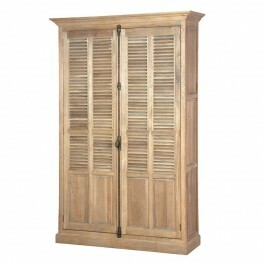 Weathered Oak Large 2 Door Cabinet with 2 louvred doors, a solid natural oak tall 2 door cabinet with weathered finish. Ideal for hanging robe with shelf space, this tall weathered oak cupboard has 1 top shelf with 2 hanging rails under which run back to front, below that there is an extra 2 adjustable shelves with further room at the bottom for shoe storage.